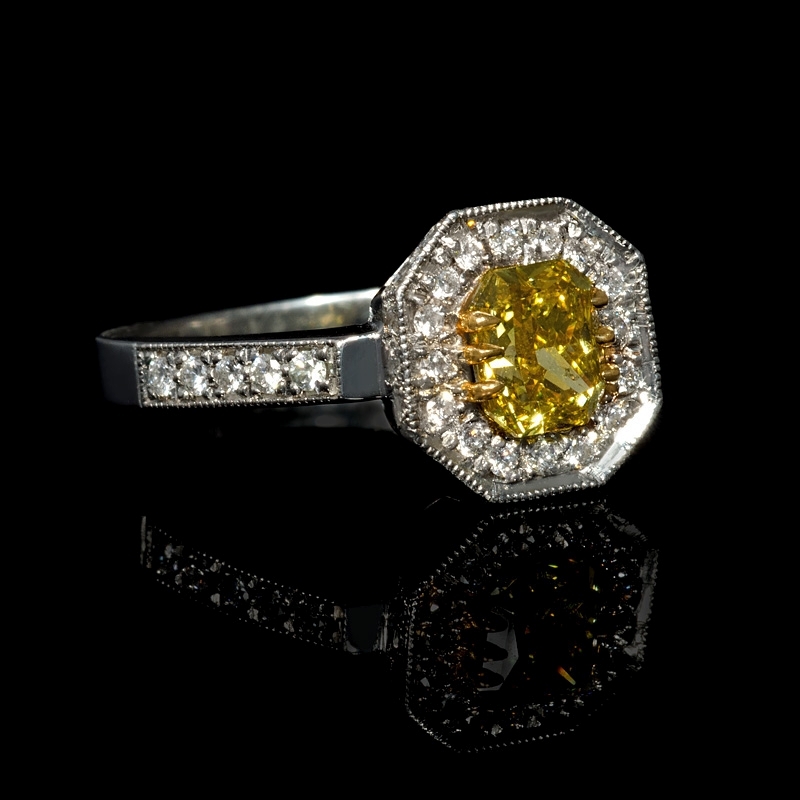 Center Diamond Details: 1 GIA Certified Fancy deep yellow diamond at the center, weighing 1.01 carat. 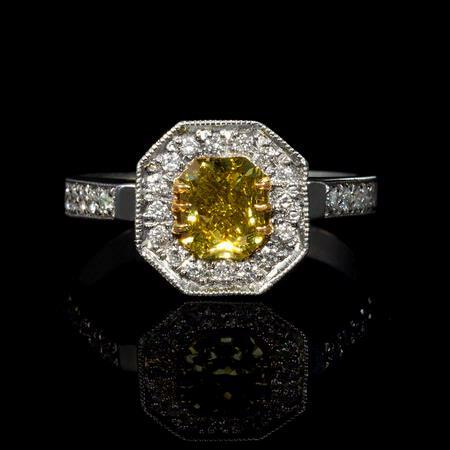 Diamond Details: 38 Round brilliant cut white diamonds, of I color, SI1 clarity, weighing .31 carat total. Measurements: Size 5.75 and 10mm at the widest point. 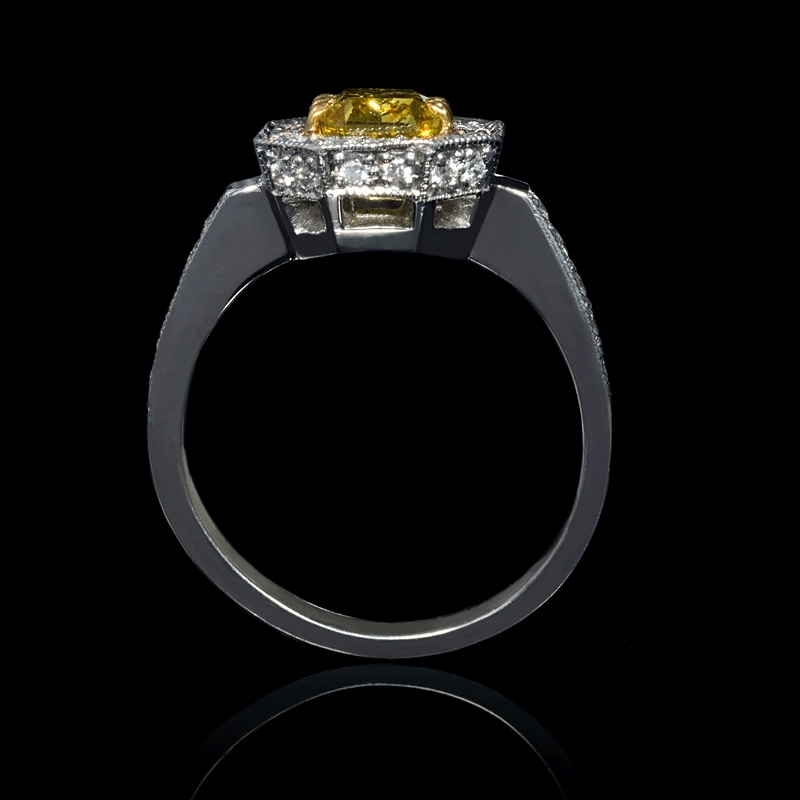 This ring is adjustable to most finger sizes, some of which require 4-6 weeks for delivery. 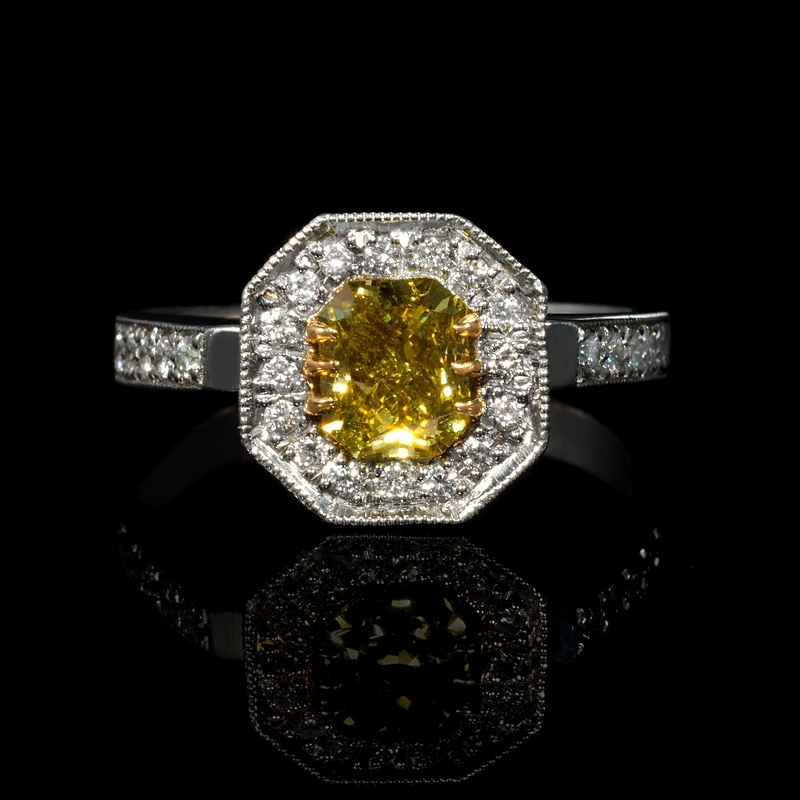 This stunning platinum and 18k yellow gold engagement ring, contains 1 GIA certified fancy deep yellow diamond at the center, weighing 1.01 carats, with 38 round brilliant cut white diamonds, of I color, SI1 clarity, weighing .31 carat total. The ring is a size 5.75 and is 10mm at the widest point.